Glossier's arrival into the UK is beyond question the launch of 2017 for me. It's been a long time coming but finally us Brits can get our fix of Emily Weiss's curated collection of ultra cool-girl skincare and makeup. This year has also seen some really amazing new products from Glossier, such as the Cloud Paint blushes which are firm favourites in my collection, an SPF that feels like nothing on the skin, beautiful body products that make me want to shower three times a day, and the most intriguing perfume. Glossier You couldn't be better named. It works with your own pheromones in much the same way as Molecule 01 does, enhancing your natural scent and making you smell like the best version of you. What I find really interesting is that it hardly changes throughout the day, if at all. It's a blend of three basenotes; ambrette, ambrox and musk, which give the perfume a warm musky cosiness that melts into the skin. Top notes of iris root and pink pepper give it a clean freshness and add to it's divine powdery musk. There's a delicate amount of floral there for sure - but certainly not enough to scare away those that don't usually care for it. Like you would expect from Glossier whose mantra is based around skincare first them makeup, it's subtle and in no way overpowering, so if you tend to gravitate to strong perfumes you may want to look past this one. It's there, but just a whisper - a skin enhancer if you will. Glossier You makes me think of cosy cashmere sweaters and is intensely comforting. Whenever I get a little hint of it throughout the day I'm drawn back into its charm. 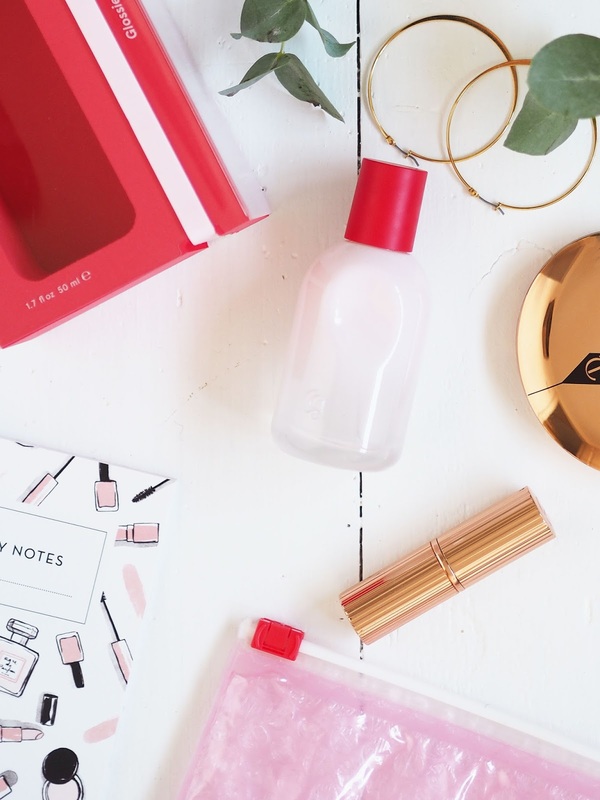 From the carefully selected notes to the most gorgeous pink ombre glass bottle which, I might add, has a rather ingenious little thumb indent to make it easier to hold and allow it to become an extension of you almost, Glossier You is very well thought out and set to make any minimalist wannabe cool girl swoon. Do you like the sound of this and will you be picking it up? The post Glossier You appeared first on Lelore.